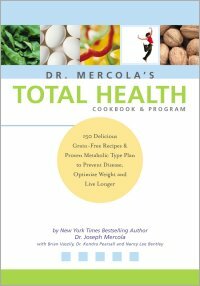 Joseph Mercola, DO - Buy Dr. Joseph Mercola's "Total Health Cookbook and Program" Now! Dr. Joseph Mercola is an internationally renowned Natural Health Physician and Doctor of Osteopathy, educated and licensed in both conventional and natural medicine and in practice over two decades. He is the founder/director of www.Mercola.com , the world’s #1 visited natural/alternative health website with over 2 million unique visitors per month where everyone can sign up for Dr. Mercola's free health e-newsletter. He is also the founder/director of The Optimal Wellness Center, one of the most esteemed natural health clinics in the U.S. His vision has long been, in his words, “to change the medical paradigm from one focused on drugs, surgeries and other health band-aids to one focused on prevention and permanent solutions.” Toward that end, he had dedicated his career to establishing the proper diet to prevent disease, optimize weight & energy, and live longer and better. After listening to Dr. Mercola as a member of the HWW Medical Staff when he joins Frank Jordan and Dr. Richard Becker on "Healthy, Wealthy and Wise" on the first Friday of each month, check out www.Mercola.com, where you can sign up for Dr. Mercola's free "eHealthy News You Can Use" newsletter and search 20,000 pages for compelling information on the health topics of your choice. Be sure to call in your health questions to Dr. Mercola during appearances (8-9 am Eastern, 5-6 am Pacific) on "Healthy, Wealthy and Wise" at 800-281-TALK (8255). Dr. Mercola's next appearance as a member of the HWW Medical Staff will be announced. Call in your health questions to Dr. Joseph Mercola and Frank Jordan at 800-281-TALK (8255) from 4-5 pm Eastern on the HWW Radio Show.